providing the strongest defense possible. What is the DUI Process in Illinois? The DUI process begins when you are under suspicion by law enforcement for driving under the influence of alcohol or drugs. Commonly this can occur after the police observe a traffic violation, or respond to a traffic accident or incident. The police will observe the driver’s demeanor, behavior and appearance when determining if they think the driver may be intoxicated. At this point, based on the above (driver demeanor, behavior and appearance) – if the police officer(s) suspects the driver of driving under the influence of alcohol – the driver will be asked to perform standard field sobriety tests and/or breathalyzer tests. It is important to note that as a driver, you have the right to refuse these tests. If you are placed under arrest for driving under the influence of alcohol or drugs, you will be taken to the police station to take a breathalyzer test. If you refuse to take the breathalyzer test, your driver’s license will be suspended for one year IF it is your first offense. An experienced DUI attorney can evaluate whether the police officer(s) followed procedures correctly, and even if you did take the test and failed, it is important to note that failing the test (BAC of .08% and greater) does NOT mean your case is hopeless. From here, you will typically be released on bond, given a court date, and you will receive notice that your driver’s license is undergoing statutory suspension and will be suspended. If this is the driver’s first time DUI offense, and the BAC is .08% and greater – the driver’s license suspension period will be for six months. If the driver refused to take the breathalyzer test on a first time DUI offense, the driver’s license suspension will be for one year. If this is a driver’s repeat DUI offense, the driver’s license suspension will be for one year if the BAC is .08% or greater. If the driver refused the breathalyzer test, the driver’s license suspension will be for three years. Basically, the driver can ask the court for a hearing to rescind the suspension of the driver’s license. The petition must be done within 90 days of the arrest, and must be provided within 30 days of filing or on the initial court date given during the arrest. At this point, the burden of proof is on the driver to prove one of the four limited elements of improper police procedures. Additionally, if the driver is a first time offender, the driver can apply for a MDDP device to drive – Monitoring Device Driving Permit. If this is granted a device will be installed to the driver’s vehicle that measures the blood alcohol content of the driver. At court you will be appear in front of a judge as part of the criminal trial process. Evidence will be exchanged between the driver’s lawyer and the prosecutor assigned to the case. With the advice of your attorney, the driver will either plea – guilty or not guilty. If you plead guilty, an experienced DUI attorney can negotiate with your assigned prosecutor for a wide range of sentencing options. A not guilty plea will result in a trial with a judge or jury and the State must prove beyond a reasonable doubt that you are guilty of driving under the influence. During this trial, the State will have an opportunity to call their witnesses, after which the State will rest their case. The driver will then have their opportunity to present any evidence, witnesses or testimony they may have. The driver is under no obligation to testify. The assigned prosecutor and the driver’s attorney will then make their arguments to the judge or jury. After the trial, the judge or jury will make a finding of guilty or not guilty. The driver will be discharged without further consequence if found not guilty. However, if the driver is found guilty, a sentencing hearing will be held. The State will often seek the greatest punishment possible and will present the driver’s previous criminal and traffic record if it applies to the judge. A skilled criminal defense attorney can help you present your case to the judge in the best light possible – explaining mitigating circumstances and other hardship(s) to convince the judge of leniency. 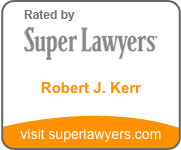 Call or email us today for a free consultation and case review. Call (312) 955-4400 or (630) 537-1574 now for HELP!